Has anyone ever told you that you grind your teeth in your sleep? Perhaps a parent or partner may even try to wake you up while you’re grinding. Unfortunately, most people who grind their teeth in their sleep, don’t even know they’re doing it. Teeth grinding is one of the most common sleep disorders referred to in the medical profession as Bruxism. The symptoms for which are broad and far reaching, including: jaw stiffness and soreness, anxiety,depression, headaches as well as insomnia. Your health partners at Greenline Dental want to empower you to combat Bruxism, so you wake up feeling rested, pain free and ready for the day! 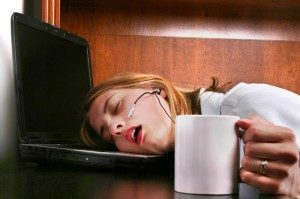 Quality of sleep factors greatly into how you perform in your waking hours, whether at work or at home. If you are resting well, you are feeling well and needless to say the reverse is true as well. There are several ways dental professionals diagnose and treat bruxism. As with any other health problem, early detection is the key to treating this particular sleep disorder. There are various ways to test the frequency and duration of your grinding throughout the night. Most importantly, there are treatment methods available such as dental guards and splints which are typically worn on a long-term basis during each and every night’s sleep. Over the counter mouth guards sold at drug stores, while inexpensive, are considered by dental professionals to be ineffective in preventing tooth erosion and further decay. A good nights rest is imperative to maintaining a healthy quality of life for you and your family. If you or your children experience bruxism, consult your Greenline Dental expert for treatment options as your oral health depends upon it.